Your motivation for becoming a personal trainer is very important for realistically forecasting your success as a personal trainer. Nothing is more important than the love for health, fitness, and physical activity. Do you love health, fitness, physical activity, being healthy, and would like to teach it to others? This is the motivation blueprint for the most successful personal trainers. You don’t have to be a health freak who works out 3 times a day and has no social life or friends. Deep down you know if you have a passion for health and fitness. 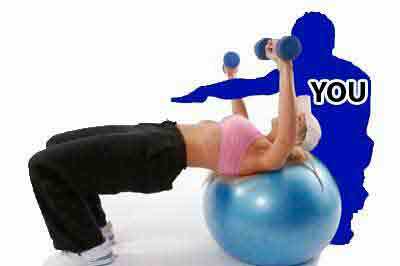 If you really believe in the fitness lifestyle, becoming a personal trainer may be a great career choice for you. Do you want to become a trainer strictly for money? If you want to become a personal trainer simply to make money, you may be in for a rude awakening. While you can make a pretty penny as a trainer, achieving financial freedom as a personal trainer isn’t going to be easy. The reason you want to become a personal trainer may be the celebrity trainer you saw on TV training the Hollywood superstar actors. In order to reach the elite status you must build an impeccable reputation in your personal training services. Building an impeccable reputation takes time. You must realize you will have failures. It is impossible for 100% of your clients to get the results you envisioned for them. Instead of letting this be a negative you must be able to make it a positive to improve your service for your present and future clients. Another drawback to becoming a personal trainer is that you usually get paid upfront for your training sessions. While it is nice to get a big chunk of money at once, that money means work. It also means that budgeting your personal finance becomes more of a priority. To make a lot of money, you must now perform a lot of work. Do you want to become a personal trainer because you can set your own hours? This is another aspect of becoming a personal trainer that people sometimes misunderstand. While you can set your own hours theoretically, for the most part, your clients set your hours. Personal Training is expensive. In order for a client to afford your services they must work. The normal working hours is 9am to 5pm makes a personal trainer’s normal working hours 6-9am and 5-8pm. Split shifts are very common for personal trainers. As a personal trainer you work when your clients are off. There are some people who can come during odd hours but those are few and far between the clients who come in before or after work. Do you want to become a personal trainer because its the coolest job you can get? If you have a passion for health and fitness and teaching a personal trainer may be the coolest job you could ever have. As with most jobs, there are negatives as well. Being a personal trainer is frustrating sometimes. Sometimes there is a communication gap between trainer and client which makes it seem to be impossible connect with them. It just seems that the client will not listen to you. This is not only frustrating because everything runs less smoothly, but the results for these clients will be very hard to come by. Another frustrating aspect of being a personal trainer is complainers and talkers. Sometimes clients complain constantly and/or question your workouts. It is usually not a matter of your service, but a matter of personality disorders. Some trainers cannot deal with this. It is also very common for clients to get a personal trainer when they should have really gotten a therapist. Sometimes clients talk more than they workout, which may be okay with some, it is frustrating with personal trainers who are serious about getting their clients the best service possible to the results which will make the client a walking billboard success story to build the trainer’s reputation. What are the Common Things Personal Trainers Love About their Job? Office workers who get absolutely sick of working a desk job often become a personal trainer because of its stark contrast with a desk job. 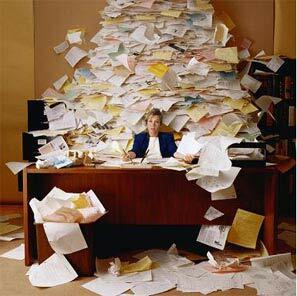 No deadlines, no copy machine, no sitting all day, no overtime, no working when you don’t want to. A personal trainer’s home is in a gym setting where free movement occurs all day. If you work in a gym you may have to wear a polo shirt with your club’s logo, but other than that personal trainers can pretty much wear whatever they want. Most people would love to wear a pair of sweats and a T-shirt to work rather than a constricted suit & tie. Tired of training your clients in your gym? Take them to another gym. Tired of training your clients inside? Take them outside on a beautiful day. As an independent personal trainer you have complete freedom with your training sessions. Remember though, you work for your clients and you must rely on their feedback, needs and wants to have a successful client-trainer relationship. If they hate outdoor activities, probably best to stay in the gym. Your clients always will control your schedule but you can accept or decline any prospective clients. You’re not a morning person, you don’t have to accept a client who wants to train at 5:30am. It is impossible to met for 3 hours every single week and workout 100% of the time. There will be rest in between sets, and chat time during and after the training sessions. You will no doubt create a working friendship with most of your clients. Talking with your clients is part of establishing the relationship which will create trust between trainer and client. This will allow better communication and feedback which will help the client achieve great results. Another perk of becoming a personal trainer is the ability to network. Your clients will more than likely be made up of people from al walks of life with many different professions. It is not uncommon for a personal trainer to say something like, “I have 3 lawyers, 2 doctors, 2 psychologists and a dentist.” People who can afford personal training are generally professionals. You will be able to learn about many different subjects and points of view. You will most likely be able to get free advice and services that otherwise would have cost thousands. 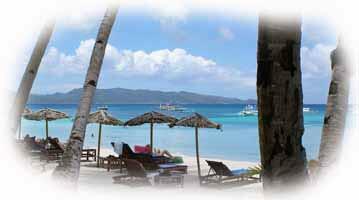 Vacation and travel is good for the mind, body and soul. As a personal trainer you don’t have to get approved to take a vacation from anyone. If you feel burned out, or get invited to go to a tropical island paradise your clients will understand and you can have no regrets taking a vacation. Again, your success as a personal trainer is determined by your clients happiness so don’t abuse it. If you properly establish relationships with your clients, taking a vacation here and there will be no problem with your clients. It may also help your clients. Write them a workout routine and insist they follow it. This will help them when they discontinue training which will eventually happen with all clients. Not feeling the greatest or get invited to go to the ballgame? No sweat, take the day off. There is nothing which will cause you to get behind if you take an occasional day off. As a personal trainer, within reason you have complete freedom to take a day of whenever you need or want to. It may sound like a power trip, but, as a personal trainer the world is yours. Your are the president and CEO of your training sessions. You have complete control and the ability to change, modify or exclude anything from your training sessions. A CEO, president, rocket scientist, or brain surgeon is nothing more than another person looking to you for advice, instruction and motivation to help them get in better shape, lose weight, gain muscle, and improve their physical fitness. How Does a Personal Trainer Get Clients? Without them you are nothing more than an underpaid gym rat. 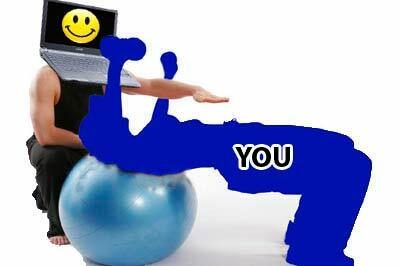 Your clients will make or break your decision of being a self-employed, independent contractor personal trainer. Here are a few ways in which you can get personal training clients. 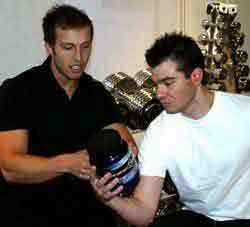 If you work in a large gym you will more than likely benefit from new clients the gym hands to you. Gym memberships are often packaged with personal training sessions or includes a couple freebies. When a new member buys a membership with training, their training sessions will be handed out by the fitness manager. It is the easiest way to get clients as a personal trainer. Once you get them, it is your job to keep them. The gym floor or in the gym is a dreaded place for most personal trainers to find new clients. This is when a personal trainer walks around the gym and talks to people. This is where you have to sell yourself and your services. Most personal trainers hate to sell. Even so, you are selling yourself like a walking billboard at all times. If you believe in yourself and your fitness program, you will have success approaching people on the gym floor to at least schedule a consultation about your personal training program. In today’s world a website is a great way to get new clients. The web is so huge and so many people use, having a website is like fishing in a small pond with 100 fishing poles. Your website should be indicative of your personality, beliefs and skills. A successful, properly designed and worded website will be the best selling tool you will ever have as a personal trainer. A good personal website will do all the dirty work selling your service with little maintenance. You can design it yourself, start a blog, or hire a web designer. Websites are very easy and cheap to set up these days as well. Referrals from past and present clients is by far the best way to get new clients as a personal trainer. This is where becoming a personal trainer feels the best as you can see your skills as a personal trainer pay off. It may seem obvious, but the key to getting client referrals is to ask. Your clients may not know you would be willing to train their friends, family or coworkers. Always be nosy and ask your clients about anybody they know who would be interested in personal training. Once you get start getting new clients based on the results you clients show, you can give yourself a pat on the back. The proof is in the pudding and if you have many successful client transformations it is the best advertisement you can possibly get. You can show off your work on a website or just let your clients be the walking advertisement. In today’s world everybody wants to lose weight, look great, build muscle, and be healthy. When people notice friends, family, coworkers or even people they see in the street in great physical health they want to know how they can get in that shape themselves. Elite personal trainers make their presence felt everywhere where their clients go. What is Required to Become a Personal Trainer? Becoming a personal trainer does not even require a personal training certification or any formal education whatsoever! This is not to say you will be a well respected or even good personal trainer without any education or certification but this is how the system is. There is no federal law which requires anything to call yourself a personal trainer. 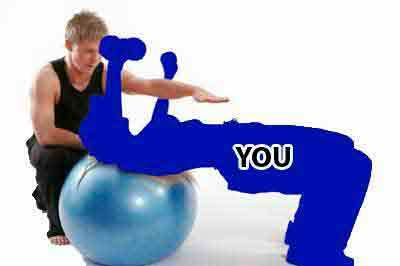 There are hundreds of personal training certifications which you can pick and choose from. While some personal training certifications require a college degree and are extremely challenging even to exercise science graduates, others are better for beginners with limited knowledge. If you would like to become a personal trainer right away with or without a college degree you should view the page on personal training certifications. Why Should a Personal Trainer get a College Degree? Just because a personal trainer has a college degree does not make them better than trainers without one. There is just an extra level of respect in which a college degree brings to a personal trainer. Anyone that has been through college and obtained a 4 year degree knows that there is a base of knowledge which is learned that has infinite value. A college degree in exercise science never loses its value and can never expire or be discounted. People may tell you that a college degree is not important for a personal trainer, but those people almost 100% of the time haven’t obtained one. A college degree enables a personal trainer to advance further than a trainer who hasn’t obtained one. Remember you will be one of tens of thousands of personal trainers. It is in your best interest to get as much educations, qualifications as certifications as you can within reason.